We are a family owned and operated Hardwood Floor Sanding and Installation business and we take our work seriously, treating each job as we would our personal home improvement project. 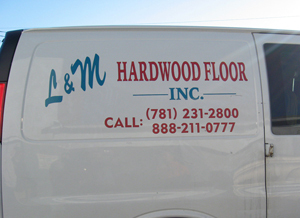 Founded in 1985 by Mike Nguyen, L&M Hardwood Floors specializes in installation, sanding, refinishing, and repair of all types and species of solid, hardwood floors. Our company is backed by over 20 years of industry experience serving all parts of Massachusetts in its wood flooring needs. The proof is in the numbers; nearly 85% of our clients come from referrals. This is because we believe in providing the best service we can to earn your business and your trust and our customers help us spread the word. One point that makes us stand apart from our competition is that we specialize in only wood flooring. L&M Hardwood Floors Inc is involved with every phase from refinishing the hardwood floors, sanding, installing, or repairing any damage. We are proud contractors who know wood and we will help you get the beautiful floor you desire, with the results you expect. Please visit our Hardwood Flooring Service page for more information. If you are interested in our services, please contact us! We offer FREE estimates so there is no obligation if you contact us.